The wheels and stance often make the look of the car complete. If your factory alloys are missing center caps, curb-rashed beyond recognition, or have been damaged, we have your replacements all picked out. For a performance-oriented driver, aftermarket alloys shed weight and offer improved aesthetics over the factory options. Space out your stance with our selection of wheel spacers, completely change the look and feel of your BMW with forged or flow-formed aftermarket alloys, or replace old wheels with factory options. Hub Extenders are the solution that no one else has! BMW wheels must fit on a hubcentric lip to be securely (and safely) mounted to the hub. But with a 3, 5, 8, or some 10mm spacers on a lip measuring no more than 11mm that presented a huge problem - there would be no lip left over for the wheel to rest on! As one of the world's leading BMW tuners and race teams, we came up with a way to extend the lip and get back the lost surface area for the wheel to safely mount on. Our Hub Extenders are the first of their kind. Hub Extenders fit where the stock dust cap is usually fitted on the front wheel hub. Pop out the dust cap and tap the Hub Extender into its place. It becomes an extension of the original lip. These will only work on the front hubs of the cars listed below because the rear hub is tapered inside (narrows down). These will not work with Xi AWD models because the front axle shaft protrudes through the hub. With Hub Extenders in place you can use nearly any flat wheel spacer - 3mm, 5mm, 7.5mm, 10mm, or possibly more without worrying that the wheel will not be securely seated. This is perfect for wheels that have chamfers on the back of the wheel that don't match up to existing spacers (Kosei K1 spacers for example). + Turner Motorsport track and street tested! Wheel Limitations. Special consideration needs to be taken since wheel design and manufacture differ from brand to brand. The key dimension is the dept of the center bore. Some wheels won't work with larger spacers and a Hub Extender because of the additional protrusion into the center bore. 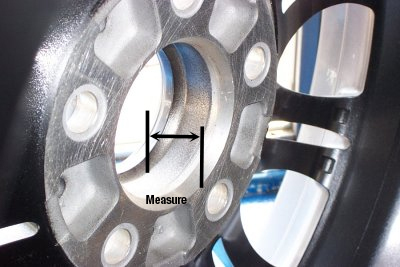 Please measure your wheel to make sure it can accommodate an extra 2.5-5mm of hub extending into the center bore. Click here for a diagram. Hub Limitations. BMW has multiple hub designs but not all are compatible with our Hub Extenders. The inside lip of the hub must be flat and smooth for at least 13mm (the depth our Extender fits into the hub). Some BMW hubs have a bowl shape or have tapered inside walls which will prevent the Hub Extender from seating all the way. Remove the hub dust cap to check before opening your Turner Hub Extenders. Wheel studs are among the safest and most beneficial upgrades you can make on a track car. Not only are wheel studs safer than wheel bolts but they make changing wheels/tires much easier. One of the frustrating things about installing your wheels on the hub is that it's difficult to line up the wheel on the bolt holes. As wheels get larger but also heavier it's even more trouble. Add in a wheel spacer and the task is twice as hard. BMW does produce a wheel alignment pin for this purpose but if you're changing wheels often a stud conversion is the better way to go. Our original bullet nose studs are available in 75mm and 90mm overall lengths. The 75mm works great for cars that do not use a spacer (or a spacer smaller than 10mm). 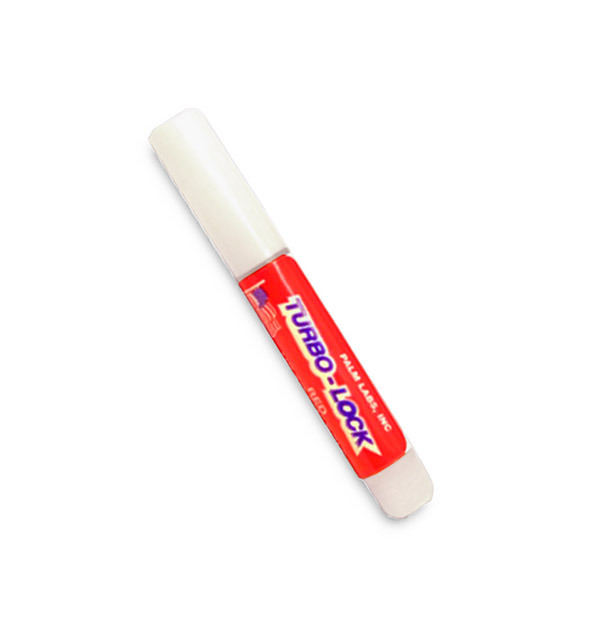 We recommend the 90mm length for cars that have a spacer larger than 10mm. These studs come with a black magnesium phosphate coating for excellent corrosion resistance. These studs are perfect for dual-purpose street/track cars. The studs are stronger and safer than wheel bolts and have a barrier against corrosion which makes them suitable for street use. For a dedicated race or track car, where wheel changes or pit stops are more frequent, check out our racing dry lube studs. Our studs are also designed and manufactured with the properly sized shank to work with a wider range of BMW wheel, nut, and brake rotor combinations. We intentionally avoid the extra large shoulders you see on other studs because they can interfere with some brake rotor hats. The extra large shoulder can be too large to allow the rotor to pass through and drilling out the holes is required (not cool!) Our studs have the sufficient shank for the brake rotor without interfering. Not all wheel studs are created equal. We don't take a manufacturer's generic wheel stud from their catalog and call it our own. Turner Wheel Studs are manufactured to meet our own specifications. Beware of cheaper studs on the market! We have seen other studs similar to our own designs that are not a true BMW fitment. There are differences that we have ironed out over our years of selling wheel studs for the BMW market. Our stud prices may be slightly higher than the rock bottom prices on the web but we promise that it's a higher quality. Whether you are looking to replace your old stock wheel lug bolts, or need longer bolts to accommodate wheel spacers or for other special considerations, our black wheel bolts are probably what you need. They are high grade (10.9) and feature a durable black finish. These are 12 x 1.5mm bolts with a 17mm head -- as used on most BMWs. Replaces BMW part numbers 36136781150 and 36131095390. The standard length wheel bolts are for stock BMWs, and the longer length bolts are listed below (select your length with the drop down box) with the size / thickness wheel spacers they are suitable for. Longer wheel bolts are only 20 cents more than standard, and are available in lengths to work with spacers up to 20mm thick. Please select your desired length below (default is the standard/stock BMW length bolt). Price is for a set of 10 bolts.